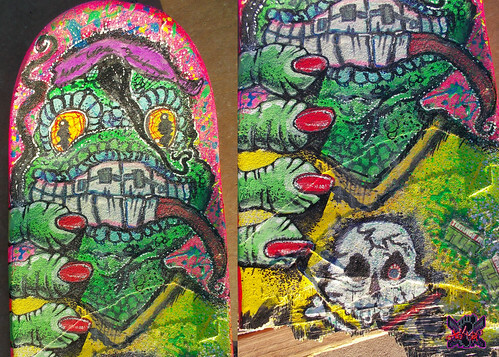 –>> Reclaimed, retired, skateboards usually around 8 x 16 1/2″ – but the uneven variables on when they were broken means some half-board canvases are going to be larger or shorter than others. Imperial Valleys Official Comic Book Convention. imperialvalleycomicconIntroducing the first ever #exclusive #imperialvalleycomiccon#comicbook limited to 125 copies made! With cover by #imperialvalley legendary artist #DaveGarcia Dave Garcia (Archie TMNT,The Tick) colors by @_sheylavalencia and featuring interior stories and art from local creators PK Garcia, @jvargasart @scampos96 and @hatebutterflies there will be 15 copies made available online only! Already 110 have been pre sold out so get your copy online now before they’re gone! www.imperialvalleycomiccon.com .. ,,. 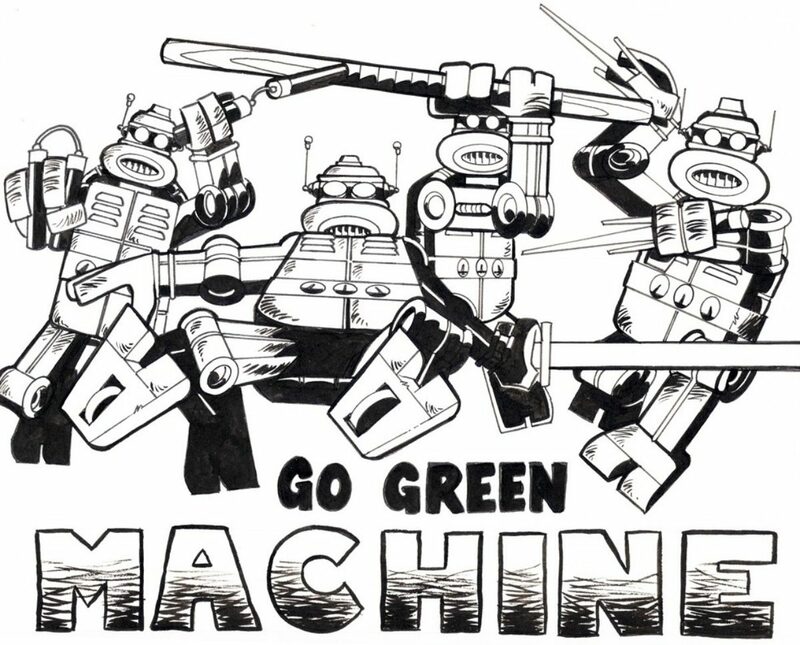 imperialvalleycomiccon An honor to have legendary #Comicbook artist and #imperialvalley#holtville native DAVE GARCIA #davegarcia coming to this years #imperialvalleycomiccon Dave has worked on such classics as the #teenagemutantninjaturtles series from #Archie#thetick and is the co creator of #pandakhan which became a action figure in the #TMNT#playmates figure line in the 80s and 90s. Dave is also drawing this years #exclusive first ever #IVCC2018 comic book available as pre order for free with an in store ticket purchase at @metahumanshq Or $10 at the show signed by the creators! Within this book is a first look at Dave’s newest project! Only 100 copies made extremely limited. 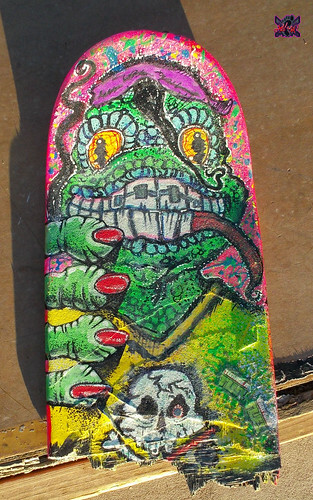 The ” 88 MONDO GECKO” skatedeck will be available at DAVE GARCIA’S TABLE AT IVCC ON SATURDAY .. with a handful of the absolute best skatedeck pieces from the last quarter of 2017 at special pricing exclusivly for the convention !! 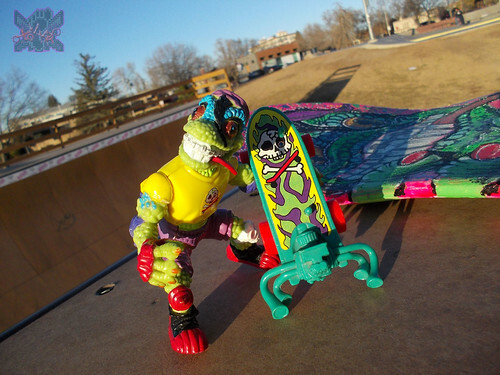 Outside of commissions, the highly-requested ..but currently limited skateboard runs from Tokka are a rare, special treat to take advantage of especially outside of the Southern Colorado area. This is also my first ever traditional representation to the public at a REAL convention outside of SDCC !! 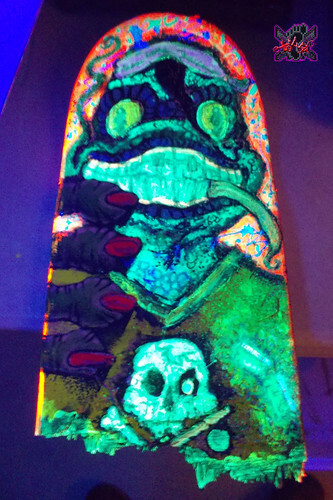 If anything check the TMNT skate decks out at the Con and let me know what you think !! !! More soon, i promise !! Next Next post: TEENAGE MUTANT NINJA TURTLES :: MIKE’S KOWABUNGA SURF BUGGY (( 1991 )), #RiseOfTheTMNT news round-up, ect.